What is Additive Manufacturing, also known as 3D printing? It is a manufacturing process where a 3 dimensional physical object is made from computer model (CAD Model) of the part. This is achieved by logically dissecting the model into multiple slices using a software and successively printing each layer on top of the previous layer. The thickness of each layer can be controlled through the software . Typically thinner slices for finer details in the final product and thicker slices for faster production. The most beneficial reason for preferring Additive Manufacturing over Conventional ones is its ability to produce complex geometry with precision in less time. In addition to that, Traditional Machining is subtractive in nature, which is removal of material, hence wastage. On the other hand, the name in itself holds the supremacy, where there is no wastage of materials, as the product is produced layer by layer. 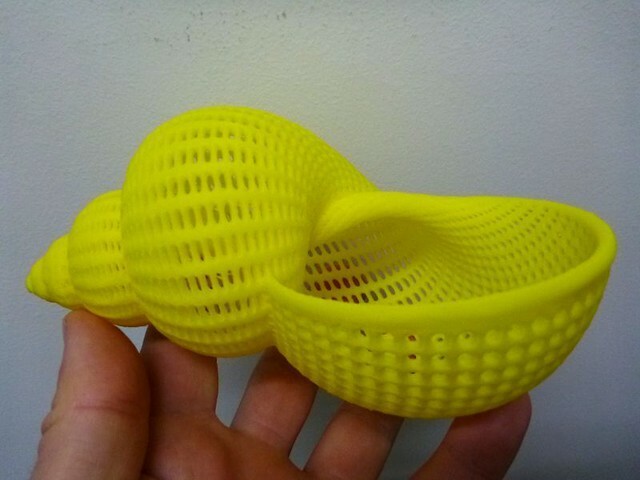 Is Additive Manufacturing different from 3D printing? Additive manufacturing is not different from 3D printing, The term “additive manufacturing” is generally considered more appropriate in technical jargon and in some contexts, it refers to the whole ecosystem of design, tools used, and expertise involved in addition the actual 3D printing process. For most practical purposes, additive manufacturing and 3D printing can be used inter-changeably to refer to the process of manufacturing. The earliest processes of additive manufacturing started off with plastics and evolved considerably to include metals, ceramics, glass, etc. There are now techniques available to 3d print composite materials and even life cells. What CAD software can be used? For the purpose of designing the part or the assembly any CAD software can be used. After the design is complete, it is converted to a format called STL files which most 3D printing software will accept. The STL format has been in use for more than 30 years and the major stakeholders in the technology development area have joined a consortium which has released a new standard called 3MF files which can, in addition to the shape size and resolution of the model can carry more information like, colour, texture, authorship and other details. There are multiple techniques available today . The two broad physical principles used revolve around either fusion by heating or curing layers by electromagnetic radiation ( UV light is very common). Listed below are some of the techniques used. ean the same thing. A plastic wire is melted by electric heat and extruded through a fine nozzle. The nozzle is made to draw the pattern for each layer and the extrude plastic fills the pattern. Imagine drawing pattern on a paper with ink. The extruded plastic filament replaces the ink. When one layer is completed the table moves down by one slice thickness and the next layer pattern is printed on top of the earlier layer and the process repeats till all the layers are completed. A photo sensitive plastic resin in liquid form is held in a vat. A laser light of very small diameter is directed on the photosensitive liquid and the laser point moves on the surface to complete all the details of the layer, The liquid resin exposed to this laser point gets polymerized and becomes a solid. This is how one layer is printed. When one layer is completed the table moves down by one slice thickness and the next layer pattern is printed on top of the earlier layer and the process repeats till all the layers are completed. There additional variations in this method called Top down approach and bottom up approach each with its own features. ( Will add a video link to this later). This is very similar to the earlier described SLA process the only difference being, that instead of a laser point drawing the pattern in a layer a complete layer is projected on to the VAT and the table is moved to accept the next layer projection. This process is repeated till all the layers are completed. What are the industry segments using it? Additive Manufacturing has its applications in more or less all the major industries, starting from Aerospace, Architecture, Automotive, Electronics, Defence, Mold making to Medical Industry. Every Industry is eventually absorbing the different techniques of Additive Manufacturing gradually for optimizing the product development cycle, hence reducing the production time. This shows the potential of Additive Manufacturing holds for us in the future. Yes, these are proven processes, and are being applied by different sectors for various purposes, according to the requirements. 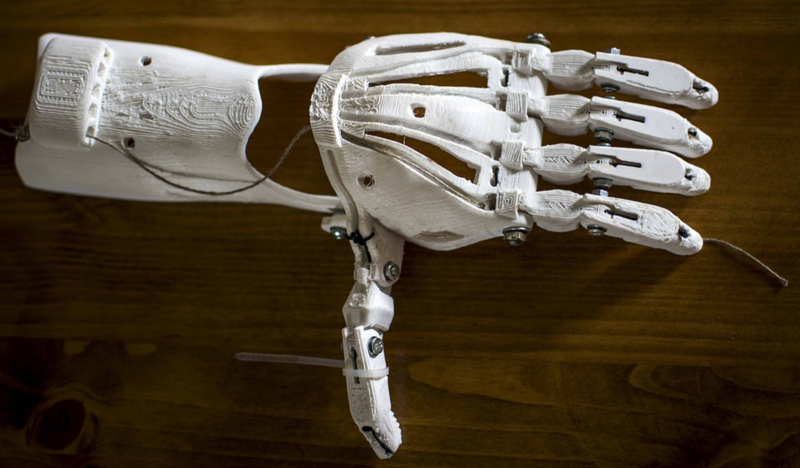 Medical Sector specifically has its own unique advantage, where imaging and modelling (Reverse Engineering) are done followed by manufacturing or rather 3d Printing of the part, which is then replaced for proper functioning. The time is not far away when, organs transplantation would not be complicated enough, owing to the opportunities 3D printing holds for us. Additive Manufacturing has been around in the market since late 1980s, but it started gaining its impact from last 5-7 years. The technology is capable enough to produce polymers, metals, ceramics of intricate shapes with fine detailing. The technology is still developing, unleashing the prospects of further developments of producing complex materials. If I am not a designer, how can I use this technology? Stratnel Technologies provides engineering related design solutions along with a 3D printed product of the solution. We, at Stratnel analyze your problem and after much discussions and brainstorming come up with innovative, optimized solution so that the product development cycle would be minimized for a much faster production time. Changes in technology, customer preferences, usage patterns, availability of better materials and several other similar reasons may trigger the need for redesigning an existing product. Many a time, engineering teams are stumped when they start to revise or restructure an existing product that has had a long lifetime. They discover that the original design team may not have created adequate product documentation and any revision of the product could require designing it from scratch again. The usual process of developing any product starts from designing of a CAD model followed by its manufacturing. Reverse Engineering is just the opposite, where the procedure starts with a tangible product and ends with digitization of the product along with the specifications (geometric 3D model, after polygonisation, meshing and hence the CAD model) from point cloud, which are collected by different 3D scanners. Reverse Engineering is specifically useful in case of lack of documentation or replication of an existing product. Where is reverse engineering used? Reverse Engineering can be used for systematic evaluation of a product, which has been functioning for a certain time period by comparing it with a freshly manufactured version of the same product. It is helpful in the recovery of any damaged or broken part, thereby improving the quality and efficiency of the component. If I want to explore 3D printing for my next project, what should I do? It’s simple, actually. All you have to do is to contact Stratnel. You can reach us by phone or email.